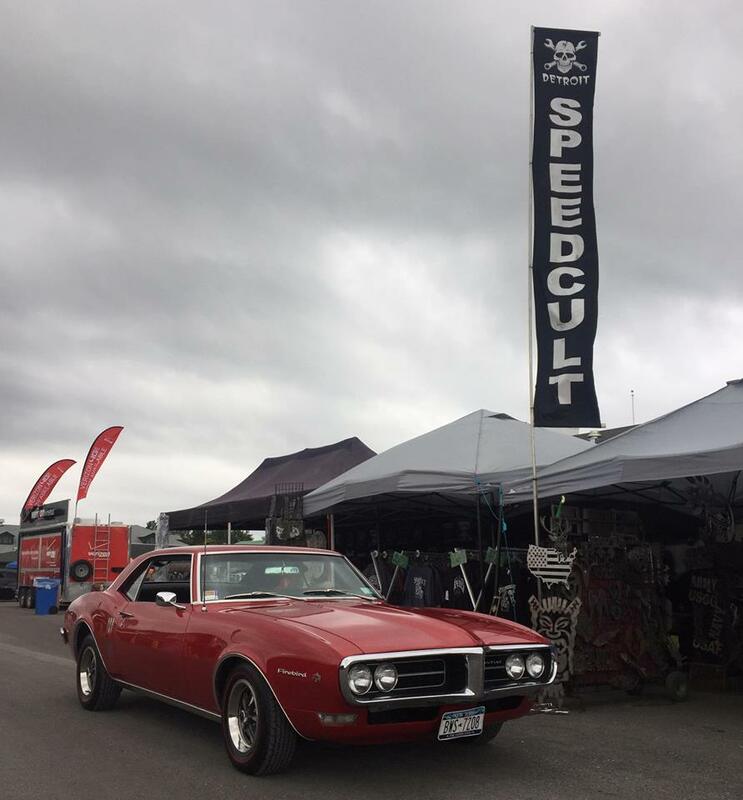 While at the Syracuse Nationals this past weekend, UNCLE PETE had the pleasure of spending a bunch of time with the Speedcult Detroit gang at their set-up. Speedcult Detroit is the purveyor of some really cool metal items ranging from car insignia and garage stuff to UFO’s and space stuff to Frankenstein’s monster and zombie stuff with everything in between and on the fringe also on display. Pretty intense t-shirts and stickers too! Len Von Speedcult (who is also the leader of Snake Out) was not in attendance this year, so UNCLE PETE had a chance to chat mucho with boss lady Tina who is just a flat-out awesome person and showed UNCLE PETE more hospitality than even the ubiquitous star of radio, TV, and the internet could’ve imagined. Also on the scene were Speedculters Tim (who took this picture) and Greg and Speedcult friend Tom from downstate with his rockin’ rat rod truck. Brews were flowin’ and the music was by far the best at the Nationals. Here’s a picture of The Dark Vault Hot Rod at the Speedcult booth. Check out their Facebook (https://www.facebook.com/Speedcultdetroit/) and see the DVHR there too! And tell ’em UNCLE PETE sent you! ~ by UNCLE PETE on July 18, 2017.